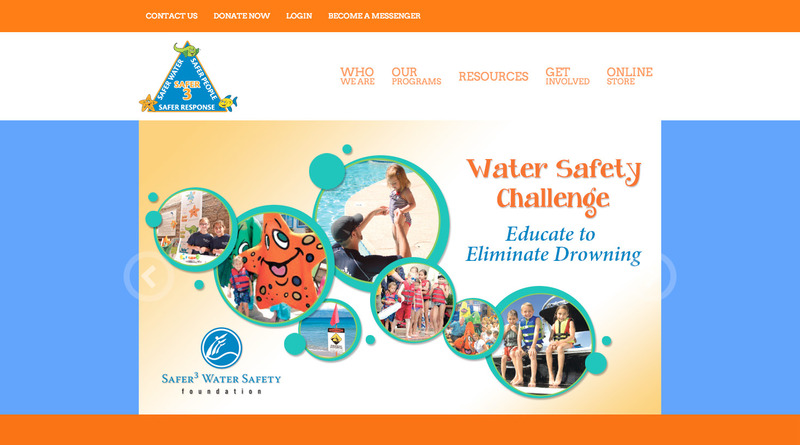 Premier Aquatic Services is a proud partner of the nationally recognized Safer 3 Water Safety Foundation. The Stop Drowning Now Foundation is an organization dedicated to saving lives through drowning prevention and water safety education. We believe that an ongoing, year-round, educational campaign is necessary in order to significantly reduce the number of drowning incidents, not only in the United States, but around the world. Drowning IS preventable…Help Stop Drowning Now Follow use the Safer 3 to stop preventable drownings. What Are the Safer 3? 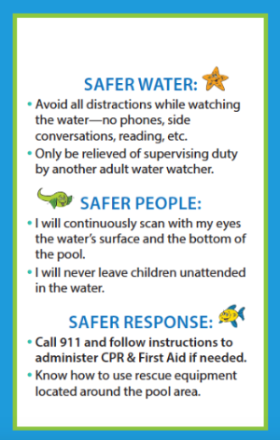 Please contact us at admin@swimoc.com for a complimentary Water Watcher Card. We will mail them out same day you request them, at no cost to you. To speak with someone on our team about our FREE Stop Drowning Now educational presentation and program, please complete the form below and a team member will be in contact within 1 business day.